HP 8710w GC124EA#ABD T7700 17'' WUXGA 2GB 120GB WL BT FX1600M hdmi VistaBus. 3J.Gar. HP 8710w GC125EA#ABD T7700 17'' WUXGA 2GB 120GB WL BT FX1600M hdmi XP-Prof 3J.Gar. HP 8730w FU470EA#ABD T9600 17'' WUXGA 2GB 320GB FX2700M hdmi VistaB.+XP 3J.Gar. HP 8710w GC1CTO#ABD T9300 17'' WUXGA 3GB 200GB-7200 WL BT FX1600M hdmi XP-Prof 3J.Gar. Dell Precision M6400 Prof 17,1'' WUXGA T9400 2GB 2x160GB-72 FX2700M 9c WinXP+VB 3J.VorOrtGar. Dell Precision M6400 Essential 17,1'' WXGA+ T9550 2GB 160GB-72 FX3700M 9cells WinXP 3J.VorOrtGar. HP Elitebook 8730w FU470ET#ABD T9600 17'' WUXGA 2GB 320GB FX2700M hdmi VistaB.+XP 3J.Gar. HP 8710w CTO T9500-2x2,6 17'' WUXGA 4GB 320GB-7200 WL BT FX1600M hdmi WinXP 3J.Gar. HP NW9440 EY316EA#ABD T2700 17''WUXGA 2GB 100GB Quadro FX1500M XP-Pro 3J.Gar. HP NW9440 EY615EA#ABD T7600 17''WUXGA 2GB 100GB WL BT Quadro FX1500M XP-Prof 3J.Gar. HP Elitebook 8730w FU470EA#ABD T9600 17'' WUXGA matt 4GB 80GB-SSD FX2700M WinXP 3J.Gar. HP NW9440 EY615EA#ABD T7600 17''WUXGA *3GB 160GB* WL BT Quadro FX1500M XP-Prof 3J.Gar. HP NW9440 EY612EA#ABD T7400 17''WUXGA *4GB 250GB-5400* WL BT Quadro FX1500M XP 3J.Gar. HP Elitebook 8730w NN270EA#ABD QX9300 17'' WUXGA DC 4GB 320GB FX3700M BlueRay VistaB.+XP 3J.Gar. 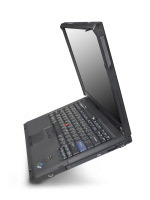 IBM Lenovo Thinkpad W700 NRJFJGE 17,1" WUXGA QX9300 4GB 2x320GB DVDRW FX3700M VistaBus. 3J.Gar. HP 8730w FU472EA#ABD X9100 17'' WUXGA DC 4GB 320GB FX3700M BlueRay VistaB.+XP 3J.Gar.